"A multi-genre guitar virtuoso, singer, songwriter from Portland, Oregon. Highly recommended!" "He channels his heroes - vocalist Bobby Bland and guitar slinger Albert Collins are among them - into a performance of what modern has become; electric, loud when appropriate but soft when necessary, and an in-concert showcase for instrumental mastery". 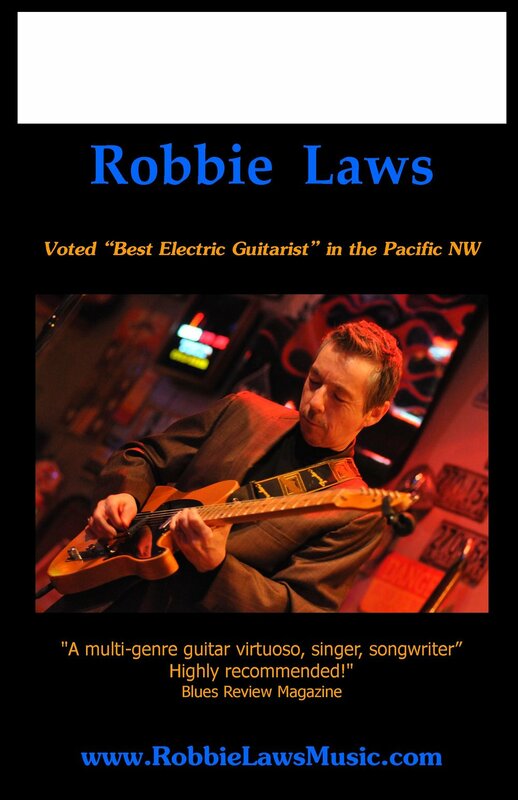 "There is a reason why Robbie Laws has held such demand with audiences in the Northwest. His vocals are spot on and his guitar work is crisp, tasty and quite often simply jaw-dropping amazing". "The man's got it all...tone, taste, and a ‘T-Bone' mentality that not many can duplicate or understand. 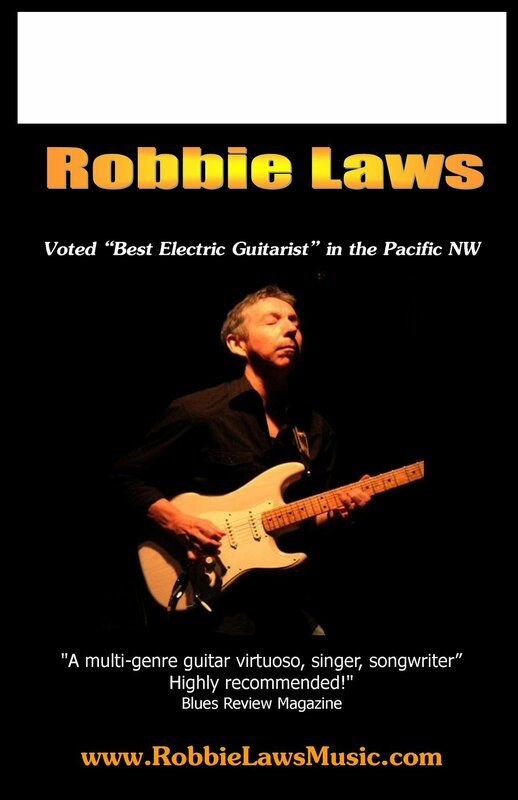 It's a treat to see Robbie cut other guitarists alive onstage."